Product information "Foot Rest Support Plate TRAVELSCOOT"
Provides comfortable support for riders who can not bend their knees for some reason (e.g. rigidity or leg in a cast, etc.). 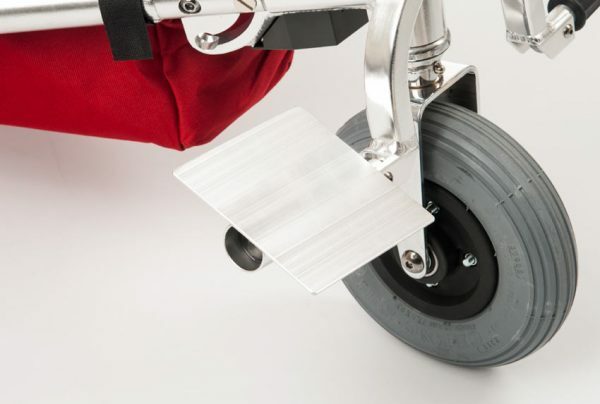 The support plate is installed by sliding it over the foot rests - no tools required. It adapts automatically to the rider's leg angle. Related links to "Foot Rest Support Plate TRAVELSCOOT"